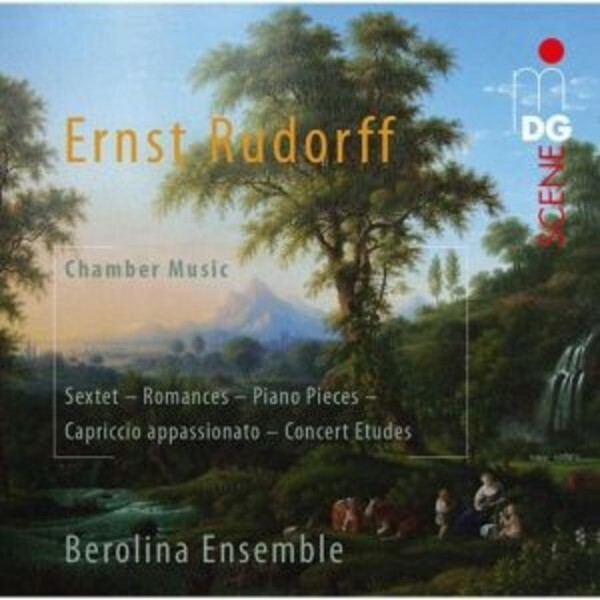 The Berlina Ensemble’s newest release is dedicated to Ernst Rudorff. His opulent String Sextet, Romance for Violin and Piano, and a series of enchanting piano pieces offer extensive documentation of the chamber oeuvre of this Berlin composer, who also numbered among the pioneers in the field of conservation. Rudorff was on close personal terms with Clara Schumann and her family - one of the Schumann daughters received instruction in piano from him. The fact that Schumann and Brahms were his models is in particular evidence in his piano compositions. Winner of the Echo Deutsche Musikpreis 2014.